Having a vision is not enough, one has to work towards it with diligence and belief. Ram Trucks is a brand of pickup trucks in the United States. It was established in the year 2010 as the division of Chrysler Group LLC. Ram trucks was originally named Dodge Truck Division. The brand was inclined towards providing services to the real truck customers in terms of utility. The group does not show attention to the truck customers who buy the truck only for style. Ram brand was originally created by Fiat, an Italian automaker. It was named as Dodge trucks in the year 1981 and later on it was renamed as Ram trucks. 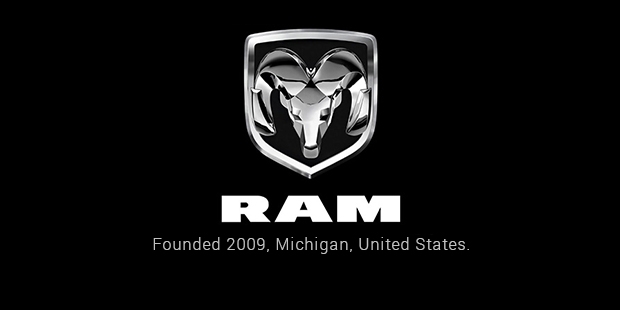 The RAM brand was created in 2009 when the Chrysler Group was reorganized after being acquired by the Fiat Group. Recently, the RAM market offensive was launched in 2011. The Ram brand was created in order to focus on public needs with the pickup trucks. Earlier the pickup trucks from the Ram brand were sold under the Dodge brand as the Dodge Ram models. The core models of the Ram brand are full-size trucks. The main sales of the company are from this range. The brand also offers chassis cabs and vans. A commercial wing is available with the company to offer special services to the customers. These services are intended for special customers only. The history of the Ram brand goes back to 1981, when the Dodge brand produced the pickup truck range. Although Dodge brand produced trucks since the year 1917, the pickups were the first to take the name Ram in the year 1981. In a year, Dodge which is currently Ram brand introduced the Ram D150 Miser. This truck was intended for those who want a pickup truck along with a high fuel mileage. By the year 1987, the Ram brand was refined in the year 1987. The cars with the new design and style were launched in this year. During the next two years, new and improved engines were the big news in the automotive market. The brand kept launching the new models year after year. In the year 1994, the all new Ram brand was introduced and it was an immediate hit in the market. The new models from the brand had a combination of rugged looks along with a powerful engine lineup. The Ram model designs also changed from this year on. The choice of engine was quite impressive in the trucks produced by Ram. All the models had the best towing ratings in the market. A new version of Ram brand was launched in the year 1995 by the name Club cab. Unique cabs were introduced in this version. Dodge also offered a Natural gas version of the vehicles to its consumers. Mechanical upgrades continued for the year 1996. In the later years, Dodge Ram brand became a powerful and successful brand in the range of the pickup trucks. The brand offers great utility features, style, luxury and performance in all its models produced till date.